Brothers can read your mind hear your heart and love you just the way you are. 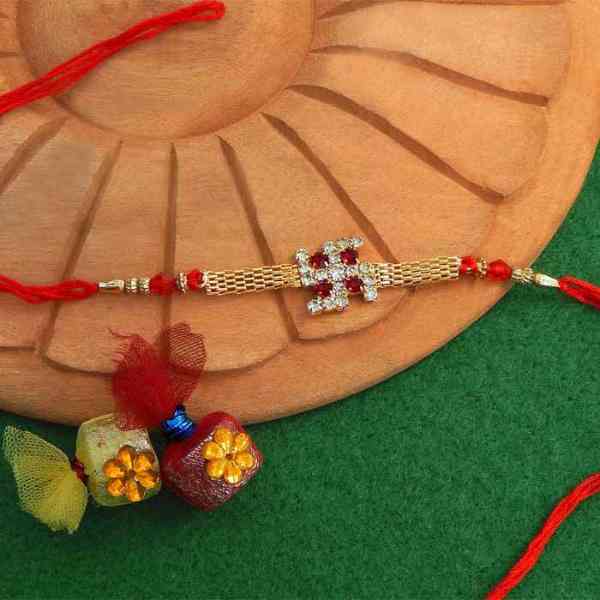 In return for this love and compassion your can gift him this beautiful Swastik bracelet rakhi which will surely keep him away from all the negative vibes. A perfect Swastik emblem grafted with American Diamonds and the crystals and bugles at the end for your special brother..